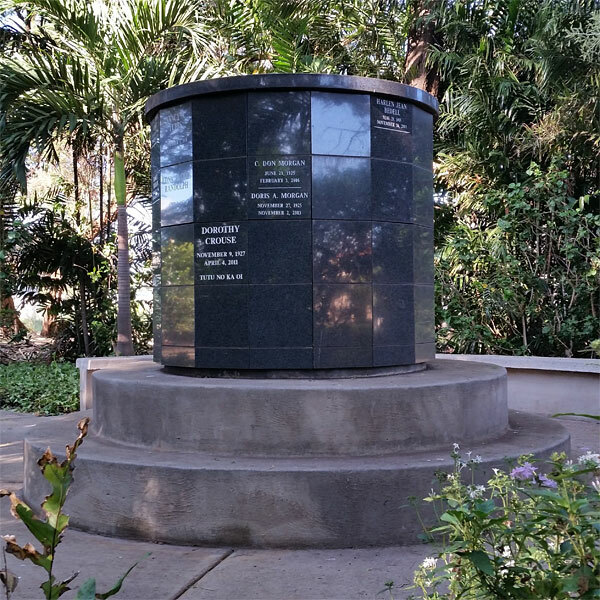 The Memorial Garden and Columbarium was established to serve your future needs and to complement our existing ministry to the family at the time of death. Now is the time to plan in order to ease the burden at the time of loss. Trinity Memorial Garden and Columbarium has been set aside for this purpose. It is fitting that as we gather in worship to sing our songs of praise and participate in the fellowship of the body of Christ, the Columbarium will be a symbol to and for us of those who have died in Christ, have risen with Him, and that it is the one Spirit that binds us together as one people in what we know as the Communion of Saints. *Note: we offer space around the Columbarium and within the Memorial Garden for name plaques to commemorate those buried elsewhere or at sea. You may make arrangements to purchase a niche prior to need or at any time, by contacting the church office at (808) 879-0161 to arrange for an appointment with the Custodian of the Columbarium. Advanced planning allows families or individuals to make shared decisions, guarantees cost, reduces stress and pressure felt at the time of death, and allows you to group family niches together, if you so choose. Lihue Cemetery (circa 1832) adjoins the church. 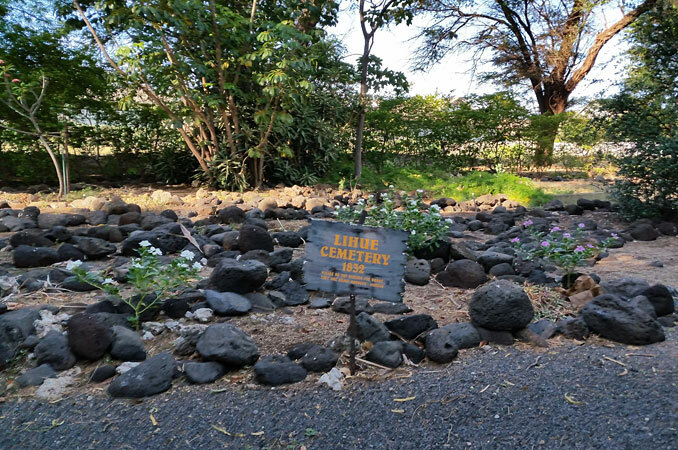 The rows of rocks are markers for the old Hawaiian graves, whose occupants remain unknown, while the marked graves are from the 20th century.